The Presbyterian Women’s Gathering begins this week! 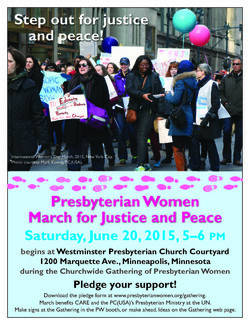 On Saturday, June 20, there will be a march for Justice and Peace that will benefit the Presbyterian Ministry at the United Nations and CARE. I will be walking! Download, fill in, and return the pledge form or direct message me to sponsor me (or anyone else).